My earlier post is about beverages that 75° Celsius that has offered in their restaurant. 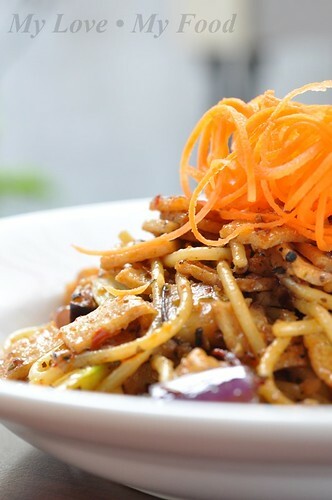 This post is gonna share about the delicious food that could lure you to visit them. 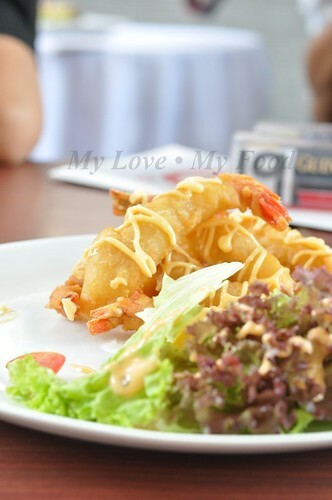 This is also a cozy place for friends’ gathering, for family get-together, for bosses buying good lunch or dinner, etc. 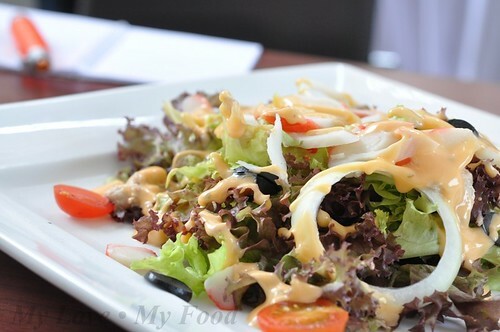 Food comprises from light snacks to main dishes and from soup to variety salads to choose from the menu. Light snacks ranges from RM6-90 to RM9-90, where could find from the menu. 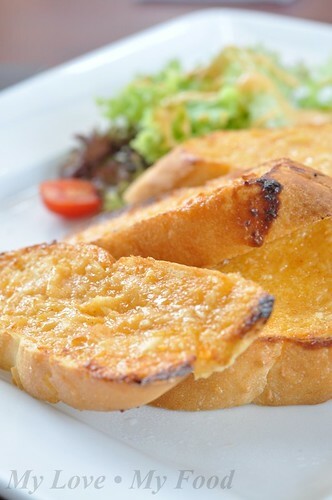 Garlic bread at times it’s too common for many diners, and how about Cheezy Garlic Bread (RM6-90) that added up some excitement in your taste bud? 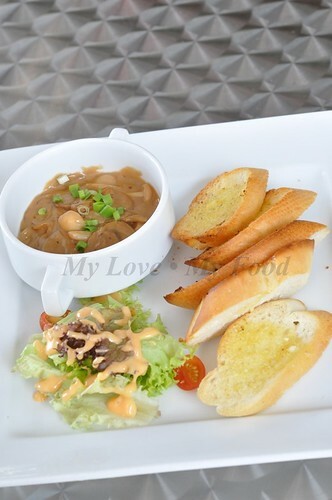 Mushroom Bruschetta (RM7-90) compared to Lamb Bruschetta (RM8-90), personally find Mushroom Bruschetta is more appetizing. According to Wikipedia Bruschetta is originated from Italy and it consists of grilled bread rubbed with garlic and topped with olive oil, salt and pepper. However 75° Celsius offering is something different from what it should be. I wonder was it a Fusion invented. 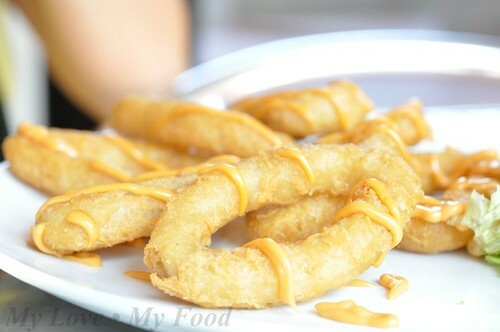 Deep fried item is always appear in the light snacks’ column, how could we miss these, Calamari Tempura (RM8-50), Fish Cocktail (RM8-50) & Tempura Prawn (RM9-90). 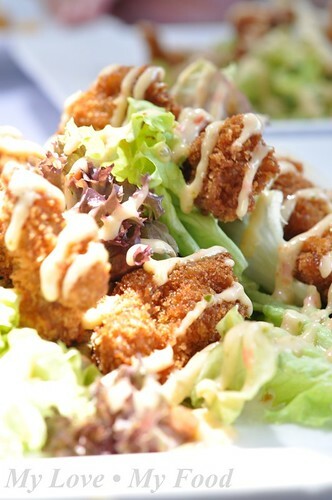 Colourful items would be something like salad, Chef’s Salad (RM11-90), or creative one like Crispy Chicken Salad (RM12-90), that’s deep fried chicken in mix garden green serve with oriental dressing. 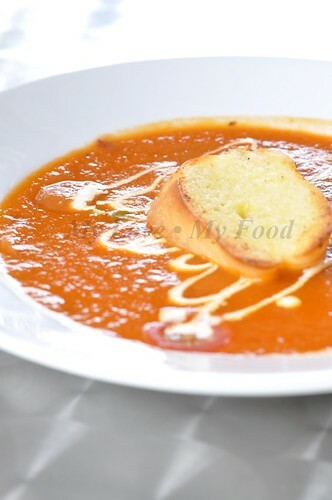 Soup ranges from Creamy Tomato & Bacon Soup (RM6-90), sauté crispy beef bacon mix into tomato soup serve with garlic bread. I was told this is one of the best compared to the other 2. 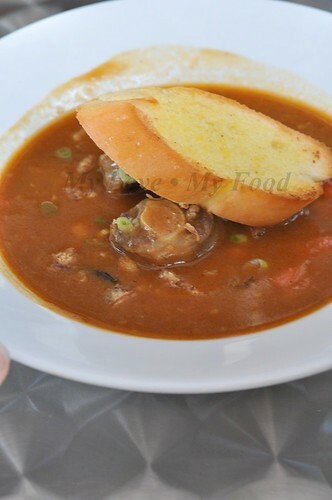 Creamy Mushroom Soup (RM6-90) which is combination of 3 types of mushrooms to make a perfect taste and it’s also serve with garlic bread. 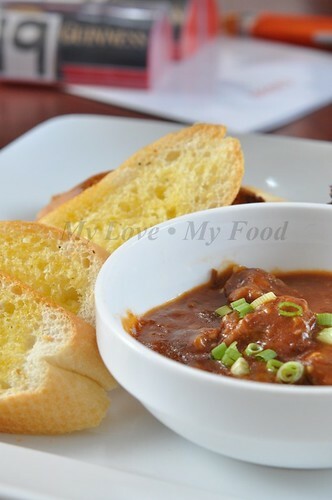 Last Oxtail Soup (RM8-50) serves with spring onion and fried shallot. 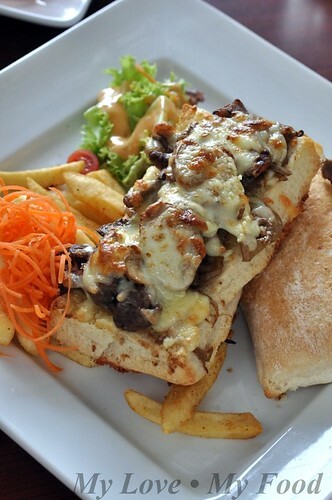 For small eater like me, will definitely op for sandwiches, truly enough they have variety of sandwiches for us. 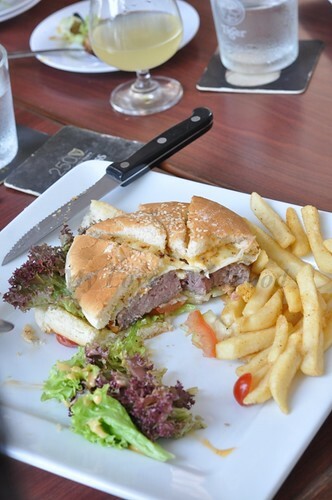 For example Beef Hamburger Delight (RM16-90), that grills the beef burger and serve with lettuce, cucumber, tomato, onion, cheese and fries. Cheezy Beef Roll (RM15-90), something unique to me… it’s baked with cheese and it makes the meat juicy. Tuna Supreme (RM12-90), 75° Celsius uses toasted butter croissant with tuna and filament mayo, serve with lettuce, tomato, cucumber and fries. Another toasted butter croissant is Turkey Fresco (RM12-90), which added in smoked turkey roll, serve with lettuce, cucumber and tomato and fries. 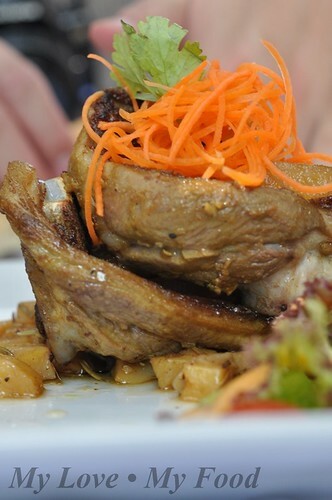 75° Celsius serves variety of main dishes for its customers, down from pasta, to lamb, fishes, or beef and chicken. 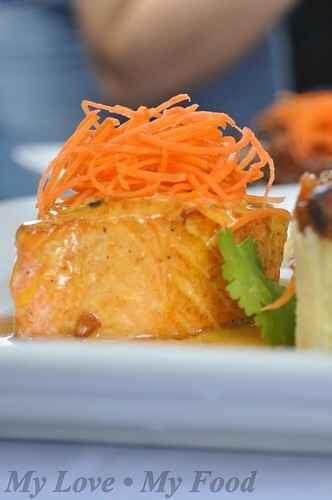 You could have a choice to taste its mouth-watering sense of flavour. Spaghetti Alla Carbonara (RM10-90) it’s sauté beef bacon and capsicum add in cream sauce. I didn’t get to snap a picture of this; however you could refer to other reviews for better reference. Pasta Aglio Olio (RM15-90) it’s sauté garlic, mix herb, and chili flakes with olive oil with add on tiger prawn. It’s good, the prawns is also fresh. 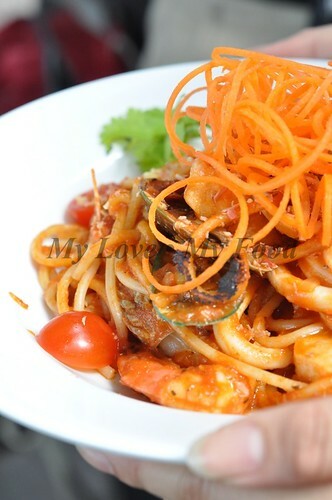 Pasta Alla Marinara (RM16-90) it’s a bit of Fusion to me, it’s cooked in Thai style, it’s tomato sauce adds in mix seafood that serve with spaghetti. 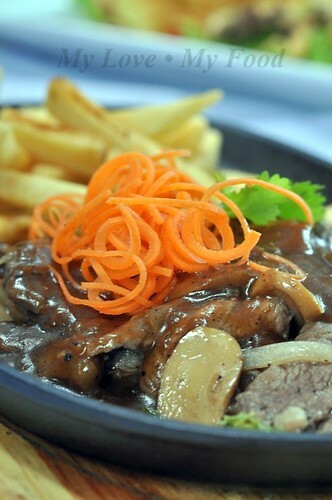 If you notice, normally Hong Kong Kopitiam will have this dish, and we could find this here in 75° Celsius. 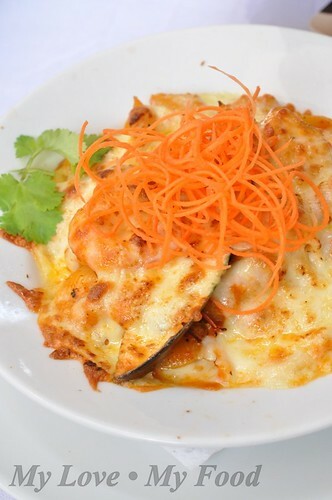 Baked Cheezy Seafood (RM16-90) small shell pasta serve with mix seafood n creamy tomato sauce. Roasted Chicken Drumstick (RM15-90) that serves with rosemary potato, mix lettuce and orange ginger sauce specially made for Chicken lovers. 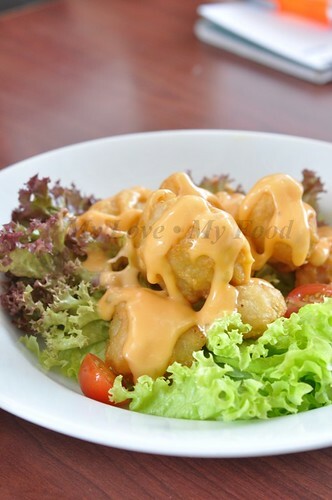 Only chicken itself could make such a variety flavour to cater the customers’ needs. 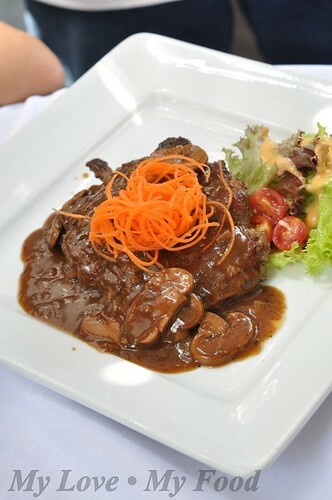 For example Black Pepper Mushroom Chicken which is only RM10-90, isn’t it affordable? 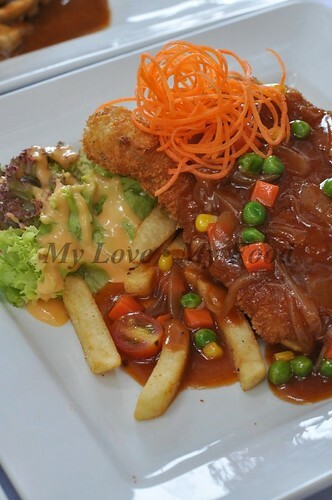 Chicken Chop (RM10-90) that serves with French fries, lettuce, and oriental sauce. First deep fried the meat and added with their special made oriental sauce on it, that make the 75° Celsius Chicken Chop unique. 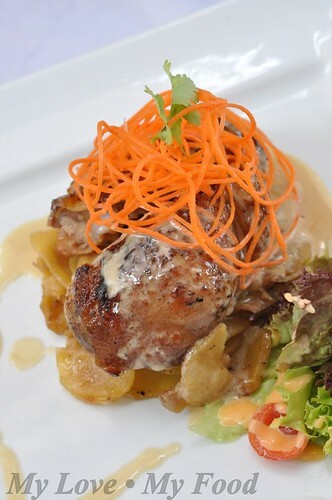 Teriyaki Chicken (RM15-90) that normally serves in Japanese Restaurant can be found in 75° Celsius, which is serve with sauté potato, mix lettuce and teriyaki cream sauce. When we come across the word Jacuzzi, we can think of spa, or a Jacuzzi bath tub to put in our bathroom, have you come across Jacuzzi Beef? Something new to you? Well, you can find this in 75° Celsius and it’s only costs RM17-90, it serves on a hot plate and French fries with black pepper sauce. And that’s made me wonder they named in Jacuzzi Beef? Ribeye Steak is kinda common in many eatery outlets, but to look for an affordable Ribeye Steak, this is the place to fulfill your hunger. 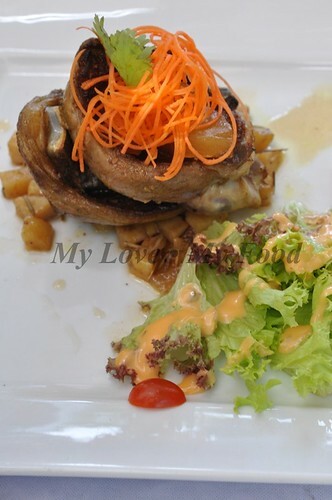 Per dish that’s only RM17-90, and it serves with sauté potato, mix greens and pepper mushroom sauce. If you’re due to religion matters, and you can’t take beef, you can either op for chicken which hand mentioned, or lamb. 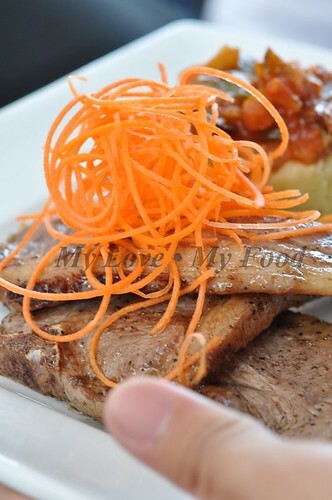 Lamb Cutlet only (RM22-90) which serve with mash potato, ratatouille, mix lettuce and mint yougurt sauce, will make you hunger for more. Spice Lamb Leg that costs RM18-90 and serves with rosemary potato, mix lettuce n pineapple JD sauce, is something sweet and it’s my favourite among the dishes. 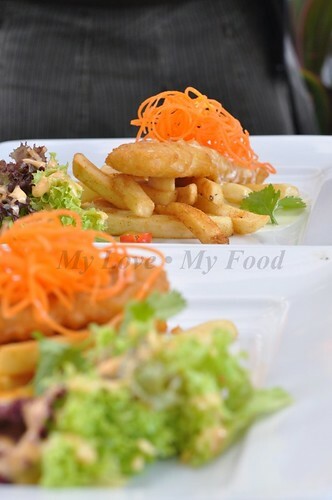 Fish is something light and easy to fill up the hunger tummy. 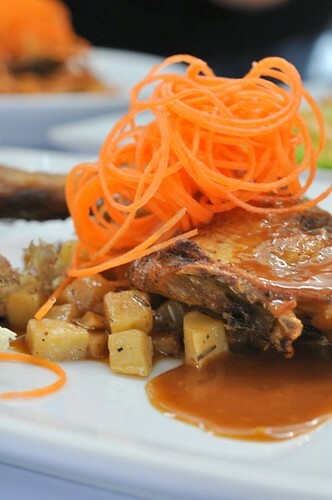 What we had tried is something simple yet its freshness is something that you would give a thumb up. 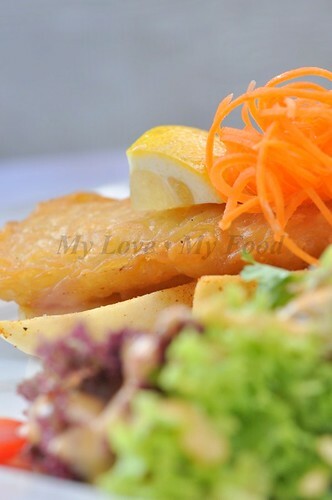 Lemon Butter Fish (RM12-90) serves with lemon cream sauce simple and delicious. 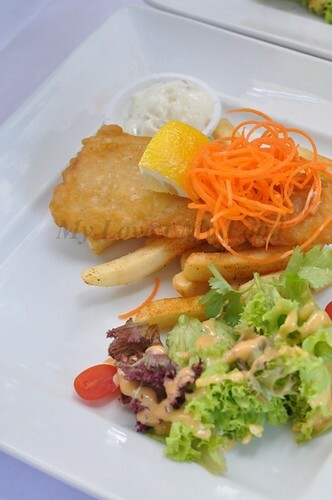 Fish and Chips (RM10-90), filling too. 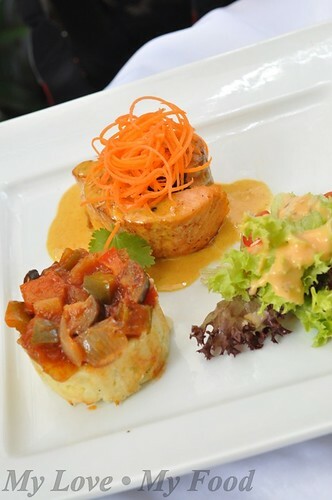 Tagarashi Salmon (RM17-90) that’s a grill roll salmon, mash potato ratatouille with mix lettuce which serves with curry cream sauce. It’s something you should check it out yourself. With so much of food intro, am sure it gives you a better idea what to have when you’re in 75° Celsius. Note: I may have missed a few dishes' photos, please refer the list below for reference. Wow, you must have spend long time to compile this post. Great job, pal! looked like we tried almost all of the dishes there huh! still rmbr most, if not all, of the mains were garnished with those julienned carrots.